For the level terrain of Vojvodina, the Mount of Fruska Gora (Crveni Cot, 539 m), our most visited National Park, is the most beautiful natures gift. Its sunny clearings are covered by meadows with more than 950 kinds of plants, and its slopes by orchards and vineyards (known to have been there as early as the Roman times), with the higher parts in thick deciduous woods. In the mountain bosom, there are 16 Orthodox monasteries of interesting architecture, iconostases and frescoes from the 15th and 18th centuries, which represent unique witnesses of Serbian history and culture. 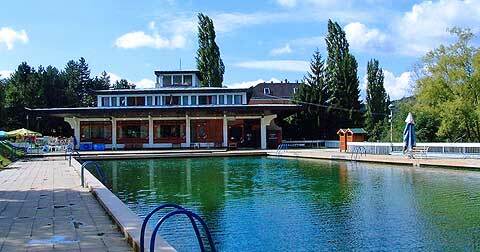 and one of the latest ones – the Spa of Vrdnik. The Old and rustic settlement of Vrdnik (first mentioned in 1315), is placed in the sea of greenery on the south slopes of Mt. 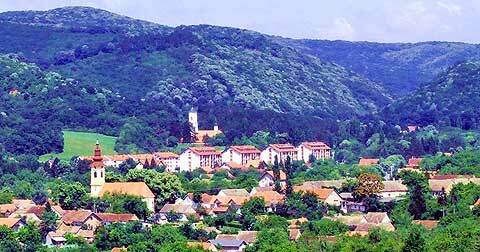 Fruska Gora, near Irig -where the vine-growing Srem begins (26 km away from Novi Sad and 70 km from Belgrade). Vrdnik was first known by its brown coal mine (opened in 1804, closed in 1968), but since hot and salty water sprang from its pits in 1931, it has been known as the natural health resort. The thermal water of Vrdnik is rich with minerals and belongs to the class of hypo-thermae (32.8° C). It is used by bathing for balneological purposes. The vicinity of Vrdnik represents a real green oasis, wrapped in most various plants (with widely spread linden woods), owing to which – in addition to the treatments in he Health Centre – it is beneficial for those ill with asthma, bronchitis and anemia as well. Although Vrdnik Spa is renowned in the country and abroad (the first Spa buildings were raised in 1938), it has experienced its genuine boom since 1981, when Termal” Institute for special rehabilitation was established, as a modemly equipped medical establishment with a team of doctor specialists, therapists and other medical staff. Various curing methods are applied in the Vrdnik Institute – besides hydro and physical, kinesis, paraffin, electric and photo therapeutic methods, there is bathing in the pools with pressurized water, as well as the methods of ancient Chinese medicine – the acupuncture. Apart from the modernly trimmed ambulance-therapy block for diagnostics and therapy, there are also, available to patients and ever more numerous other visitors, two additional recreational indoor pools, an olympic-sized outdoor pool (with running thermal water), a massage parlour, congress hall (500 seats), two restaurants, a club for entertainment games, sports fields.